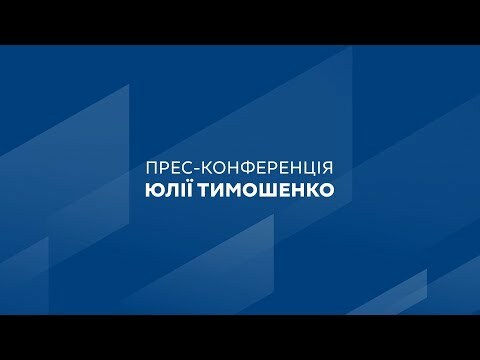 Presidential candidate and Batkivshchyna Party Leader Yulia Tymoshenko has said that President Petro Poroshenko and his entourage are violating election law through falsification, “volunteer” agitators, stuffing the voter register with non-existent voters and registering technical candidates. “Several dirty technologies are being prepared. I have a package of documents that is being given out to so-called ‘volunteers’ by the Presidential Administration along with 500-1,000 hryvnias per vote, depending how much has trickled down to the people. The President and his entourage plan in this way to buy at least 3 million voters,” Yulia Tymoshenko said during the program “Right to Power” on channel 1+1. The politician said that her party’s teams on the ground collected these documents, facts and evidence, which was given to the Minister of Internal Affairs with the request “to open a criminal case and stop these networks and pyramids.” “And I was glad to hear that the Interior Minister has a clear intention to stop this,” she said. The parliamentarian was outraged that the money to bribe voters is being taken from the state budget, and presented the President’s income declarations for 2017. “It is shocking that our president’s official income increased by 82.7 times by lending to the country at 17-18% per annum. In 2017 President Poroshenko declared 16 million 454 thousand hryvnias in income, and in 2018 – according to the amendments to the declaration form – 1 billion 361 million 372 thousand 893 hryvnias. And all this against the backdrop of poverty, falling living standards, grief in every family that can’t afford breakfast,” the politician said, adding that she handed over documents to the National Agency for Prevention of Corruption (NAPC) as evidence of a conflict of interest and corruption. Yulia Tymoshenko also said that non-existent voters are being added to the voter rolls. “The Central Election Commission (CEC) has registered 35 million 582 thousand voters, but the NGO Ukrainian Institute of the Future has estimated that if from the 42 million Ukrainians you exclude minors, residents of the temporarily occupied territories of the Donetsk and Luhansk oblasts, migrants to the Russian Federation and the EU, then we have only 25 million voters. The register has been increased by 10 million people!” she said, adding that she also appealed to the Ministry of Internal Affairs to open a criminal case. “The President of Ukraine and his staff on the last possible day registered a candidate named Yuriy Volodymyrovych Tymoshenko. This was done to take away votes from me,” said the Head of the Batkivshchyna Party. The politician called on the President of Ukraine to stop the dirty technologies and manipulations. “If you are the President, a man and a person who claims to be honest, how can you compete so dishonestly? I appeal to the President and his team: remove candidate Yuriy Volodymyrovych Tymoshenko from the list of candidates and stop the election manipulations,” said the Head of the Batkivshchyna faction. Yulia Tymoshenko stressed that her team will do everything to prevent election fraud so that people “can look to the future with faith.” During the program, she and the other candidates present – Anatoliy Hrytsenko, Andriy Savodyi, Viktor Bondar, Oleksandr Shevchenko – signed a memorandum on honest elections and countering falsification. “This means that if we combine our efforts, we can collect original protocols from all polling stations and do a parallel vote count to not allow any fabrication of these protocols. And then falsification will not take place in Ukraine,” stressed the Batkivshchyna Leader.